With any iconic franchise – yes, iconic – there is the lingering worry whether new releases will live up to their predecessors. With DreamWorks’ How to Train Your Dragon 3: The Hidden World, this was a looming fear. For their latest comeback, however, the child within me had eyes closed tight and fingers crossed that they would claw it back, recapturing the charm once again. And, after all this pain-staking tension, it’s safe to say it did. Dean DeBlois’ How to Train Your Dragon 3 is the final part to the trilogy following Hiccup, the awkward teenager that develops into a leader alongside his pet dragon, Toothless. This feature continues the narrative, with Hiccup protecting the newly unified people of Berk and their many dragons, whilst facing evil forces and challenges within his personal relationships, especially with his dragon Night Fury. 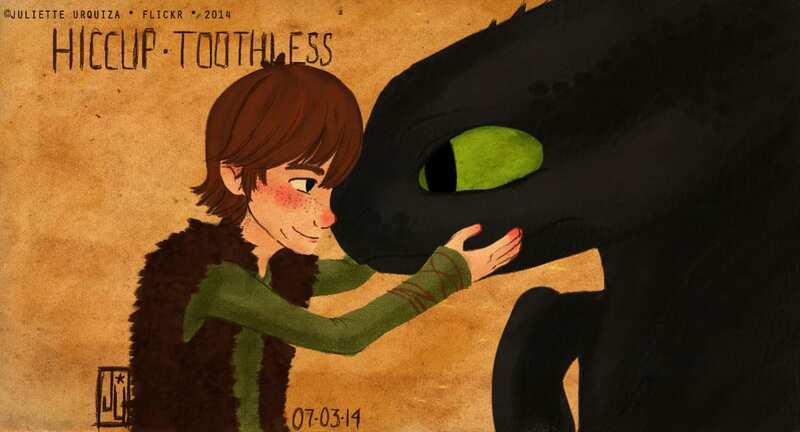 The film follows not one, but two heterosexual narratives, continuing that of Hiccup and love interest Astrid, and that of Toothless and his first ‘crush’ – a blue-eyed female dragon, dubbed as a Light Fury. It could be criticised that this, alongside the representation of a typical masculine antagonist, Grimmel, results in a narrative that is familiar and too predictable. Although the film does tackle serious societal topics, such as social expectation and fear of abandonment, this is for children and I am an adult – in denial – shamelessly grasping onto childhood and the predictability of the story is justified when considering the general target audience. Regardless, diversity is still heavily present across the How to Train Your Dragon franchise, with Hiccup’s disability of a lost leg and the acknowledgement of Gobber the Belch as a homosexual. Even if the heterosexual narratives are overworked and a bit of an eye-roller, it is a children’s film with the cutest fantasy pet in existence which becomes even more adorable as he finds puppy love. Beyond this, the film’s score is similar to the previous films and demands attention. Consistently the music is magnetising, intensifying, and always seamlessly laced with the narrative. However, the film’s biggest surprise was the visual capacity it reached, and is at the peak of the franchise. From the opening sequence to the subtle changes in character detailing across time, the attention to detail is undeniably impeccable. Above all else though – regardless of the embarrassing extent of my emotional-investment – How to Train Your Dragon 3 had me a wreck, even when fighting to conceal my tears from the surrounding seven-year-olds. I do believe that this reaction is something only an emotionally-conscious film can do, and for this to come from a children’s animation displays its heart-warming power. Once again, the How to Train Your Dragon franchise has perfected the balance of depictions of friendship, loyalty, comic relief and stellar audio-visual merit, making it a film that definitely did not disappoint. And hopefully it will smash the box-office – so long as the other far-too-invested adults watch it. And kids too, I suppose.